CES 2012: the year of tablets, apps, streaming and voice control? | What Hi-Fi? CES 2012: the year of tablets, apps, streaming and voice control? We’re at CES Unveiled in London hearing about what’s in store for CES 2012 in Las Vegas this coming January. 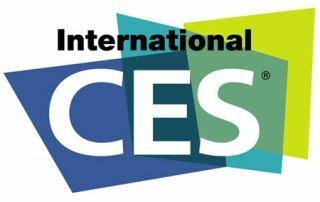 Despite the economic gloom dominating the headlines, global sales of consumer electronics are expected to break through the $1tn barrier in 2012 for the first time – that will represent a growth rate of 5%, according to CES organiser the Consumer Electronics Association (CEA). Western Europe will account for 22% of that $1tn total. However, while growth in the European CE sector was up 7% in 2011, that is expected to slow to just 1% in 2012. But CEA boss Gary Shapiro still sees plenty of growth markets, not least in tablets, smartphones, notebooks and in-car entertainment systems. He says around 20,000 new products will be unveiled at CES 2012. The tablet market alone is expected to grow by a massive 63% in 2012, with smartphone sales due to rise 22% and the mobile PC sector growing 11%. The trend towards tablets is clear, says the CEA: in 2002 most people wanted a DVD player, in 2005 it was an MP3 player, by 2008 a laptop, and now in 2011 it’s a tablet that’s top of most people’s wishlist. However, more established sectors are finding life a bit tougher: home audio product sales will drop from 11% growth this year to just 3% in 2012, according to the CEA’s research, and TV unit sales are down by 10%. Interestingly, among the key buyers going to CES nearly half think that 3D TV is no longer a hot technology. Key trends at next year’s show are likely to be smart technology, streaming, cloud computing, touch and voice control, and of course apps. As for new product launches, the CEA expects 100+ tablet devices to be launched at CES 2012, plus more hybrid tablet phones (5in) and ultrabooks, with 30-50 new models due to launch. Making its debut here at CES Unveiled is Pure's new £100 Contour 100Di iPhone/iPod dock with DAB radio (above). 25 Tech Zones are planned for CES 2012, highlighting emerging new technologies. There will also be a new iLounge with 300 exhibitors, and of course we’ll be based at the Venetian Hotel in Las Vegas, home of the high-end hi-fi exhibitors. As for TV, we expect to see more glasses-free 3D, ever-thinner screens, super hi-res 4K x 2K technology and more OLED products. We’ll be reporting live from CES 2012 in January (10th-13th), so there’ll be daily news coverage, videos, blogs, interviews and more here on whathifi.com throughout the show. What Hi-Fi? Sound and Vision is one of the key European media partners for CES 2012.